A Welsh sun goddess whose name means “golden wheel” Olwen overcame thirteen obstacles to obtain her true love (symbolic of thirteen lunar months), and she teaches us similar tenacity in obtaining our goals. Art portrays this goddess as having a red-gold collar, golden rings, and sun-colored hair that shines with pre-autumn splendor on today’s celebrations. Announced thirteen months in advance, this celebration preserves Welsh music and literature amid the dramatic backdrop of sacred stone circles. The Eisteddfod dates back to Druid times; it was originally an event that evaluated those wishing to obtain bardic status. Follow these hopeful bards’ example and wear something green today to indicate your desire to grow beneath Olwen’s warm light. Or, don something red or gold to generate the goddess’s energy for excellence in any task. Insight begin, bless me, Olwen. Carry this with you, releasing one petal whenever you want a little extra inspiration. Since this festival has become a meeting ground for various tribes, we look to Genetaska to make the day productive and celebratory. As the Iroquois Mother of Nations, she not only created human diversity but also maintains the peace within it. Since 1918, a great gathering of Native American tribes has taken place in Crow Agency, Montana. Here people meet, dance, and revel in native traditions. While the event is hosted by the Crow Tribe, others attend from tribes as diverse as Inuit and Aztec. In keeping with this theme, and to invoke Genetaska’s harmony in your life, make peace with yourself or someone from whom you’ve been estranged. Ask Genetaska to help you find forgiveness in your heart. Also, listen to some Native American music today, or maybe visit a museum that includes Native American exhibits to enjoy Genetaska’s diversity. She lives within her people’s artistic expressions of individuality and vision. Diversity and harmony, as I eat, abide in me! The goddess will mix and mingle the food to magickal perfection. This Roman goddess embodies the moon’s fertility and watery aspects, along with the sun’s protective and nurturing power over the forests and its creatures. On this day she was celebrated in Rome, and she will be remembered in our hearts as the huntress who helps us capture the spiritual “food” we need. Starting on August 13, the Romans had a weeklong festival for Diana, praying to her for the harvest’s bounty, and to turn damaging storms away. The traditional place to leave an offering of fruit or vines for her is in the forest, or at a crossroads. As you do, if any stone or leaf catches your eye, pick it up and carry it as a charm that will keep Diana’s power with you that entire day. Come night, release the gift to flowing water or back to the earth with a prayer of thanks and a wish for one of Diana’s attributes that you wish to develop in your life. It is also customary to light some fire source to honor her on August 15 or anytime during the festivities. Afterward, to generate this goddess’s physical or figurative fertility within you, follow Roman convention and wash your hair with specially prepared water (water to which just a little milk is added so that it looks white, like the moon). If you have children, doing this for them incurs Diana’s protection over their lives. A Persian and Arabian moon goddess, Al-Lat is the feminine form of Allah. Post-Islamic writings banished her name from holy books, but her presence remained behind as a domestic guardian, the giver of children, and protectress of all good and just deeds. Around this time of year, Muslims begin a time of abstinence to purify themselves and honor their sacred book, the Qu’ran. During this fast, people are instructed to look within and rededicate their hearts to the tenets of their faith. To do this and also honor A-Lat, fast for this day if physically feasible. Or, just abstain from one well-loved food or beverage for the day, and study your own sacred text(s). Pray to Al-Lat for insight into the deeper meanings of the words. Write down any observations in a journal, so Al-Lat’s presence will inspire good deeds and positive action for many years to come. Al-Lat, place your protective light. your safety and presence shall abound. Put these as close as possible to the four directional points of the area that needs guardian power. Anahita is the Zoroastrian moon goddess who shines upon the darkness in our lives, replacing loneliness with true love, barrenness with fertility, and impotence with pleasurable unions. She is the Lady of Heaven, the flowing force of the cosmos, whose name means “pure.” A traditional offering for Anahita is green branches, which represent her life-giving power. Lady of Purity, Lady of Light, be welcome in my home and my heart. giving and receiving them equally. Then spend time with your loved one, letting nature take its course. Among the Japanese, Inari is invoked to bring a long life, blood-red being her sacred hue. In death, she guides and protects faithful spirits. Portrayed as a vixen, Inari also has strong correlations with love, an emotion that survives even the grave. Rice is a common offering for Inari, as it is a crop to which she brings fertility. The Obon is a festival for the dead in Japan, where people hold family reunions and religious rituals to honor their departed ancestors and dance to comfort the spirits. These observances are fairly easy to duplicate. Gather with friends or family, and include rice cakes and fruit as part of your menu planning. Leave out an extra platter of food both for the spirits of the departed and to please Inari. Inari be, ever with me. By this stone [cloth] of red, let love be fed. When at [on] my side, let love there abide. Put the stone in your pocket (so it’s at your side) and carry it when meeting with that special someone. This Mayan goddess of time created time’s calculation and the calendar along with her partner Xpiyacoc. She continues watching over all calendar functions and acts as a prophetess because she can see both past and future consecutively. Her folkloric titles include Day’s Grandmother and Maker of the Blue-Green Bowl (likely the sky). Lady of time, where I stand in your stream. let my moments be filled with you. So be it. Blow out the candle and keep it for other rites. This Southeastern Native American corn goddess planted her very heart so people wouldn’t go hungry. Corn sprouted from it. To this day, her spirit teaches us how to refertilize the earth to bring us the sustenance we need. In this primary festival among the Pueblo Indians, Santa Clara replaced Selu, the spirit of the corn, when Christianity took hold. For the Pueblo, corn is a staple, so as the sun reigns in power they dance for rain and evoke the Corn Spirit for every portion of the crop’s growth. Following this tradition, if it’s raining today, go outside and rejoice in Selu’s growth-related energy. Dance with a bit of corn (or eat some beforehand) to invoke her powers for progress in any area of your life. If your region has needed rain lately, try drumming for it while scattering corn kernels mingled with pine needles on the ground. The corn and needles act as a gift to the goddess, and the sound they make is a kind of sympathetic magic to draw the rain. Finally, carry corn in your pocket today. Beforehand, visualize a specific characteristic you’d like to “harvest” within yourself. Each time you think of the corn that day, visualize that goal again. Then, at the end of the day, plant the kernel in the ground so Selu can start it growing! This Lakota goddess’s name literally means “meteor.” Among the Lakota she is considered the most beautiful of all goddesses. She generates harmony and unity through the peace pipe, and pleasure from the smoke of sweetgrass. Stories also tell us that she measured time and created the seasons so people could know when to perform sacred rituals. When a meteor falls from the sky, it is Wohpe mediating on our behalf. Go stargazing! At this time of year, meteors appear in the region of the Perseids, as they have since first spotted in A.D. 800. People around the world can see these (except for those who live at the South Pole). If you glimpse a shooting star, tell Wohpe what message you want her to take back to heaven for you. Wohpe, bear my message sure; keep my intentions ever pure. Where anger dwells, let there be peace. May harmony never cease. Afterward, make an effort to get ahold of that person and reopen the lines of communication. This Spanish goddess of heat and fertility helps us celebrate today’s festivities by providing our cooking fire! Auge also inspires the warmth of passion so that fertility will flow in the relationship and on a physical level if desired. In an odd turn of events, the same saint who was roasted alive because of his wit became the patron saint of the kitchen and cookery in Spain and Italy. In keeping with this theme, prepare grilled or roasted food today, invoking Auge simply by lighting the flames! By the forge, by the fire, Auge build the power higher. Within these tools let there be an abundance of fertility! Use these tools outside or in your kitchen whenever you need extra productivity. Should the weather not cooperate, this spell works perfectly on a gas stove, which gives off a flame in which Auge can dwell. Finally, wear red or orange hues today (the colors of fire), and remember to light a candle to honor this goddess. Consider dabbing on some fiery aromas, too, like mint, orange, or ginger, for a little extra energy and affection. Zhinu is a stellar goddess in China, residing in the constellation of Lyre, a home from which she tends to harmony within relationships. According to legend, Zhinu came to earth to bathe with six friends, but a herdsman stole her dress. She could not return to the heavens this way, so she married him. Later, however, the gods called her back to the stars, and the herdsman followed her. On the seventh day of the seventh moon, the two are allowed to meet as husband and wife. A similar celebration to the Seven sisters Festival is the Weaving Festival in Japan (July 7), which commemorates the love between two stellar deities who meet in the silver river of the Milky Way one day out of the year. Follow with custom and cover your altar with rice and melons, both of which can become offerings. Eat these as part of a meal later to internalize Zhinu’s love and devotion. If you’re single, offer her combs, mirrors, and paper flowers to draw a partner into your life. Burning incense and reading one’s future is also common today. Watch the smoke from the incense while thinking about a specific relationship. See if any shapes form in the clouds. A heart, for example, indicates adoration. A scale reveals a relationship with a healthy balance, and two interconnected rings indicate unity of mind and soul. The celebrated Hindu goddess of women is the center of festivities in Nepal today. Parvarti’s domain is that of faithful companionship and fertility, as she is the consort of Shiva. Art often shows Parvarti dancing, in the company of Shiva, or with an elephant’s head. Try following Nepalese custom. Wash your hands and feet with henna (or a henna-based soap product) for Parvarti’s productive energy. Or, go out and swing on a swing set singing sacred songs; this draws Parvarti to you. Another way to invoke Parvarti is by giving a special woman in your life (a friend, lover, relative, etc.) a gift in thankfulness for her companionship. The goddess exists within that friendship and will bless the relationship. Take a ritual bath to cleanse yourself of negativity and problems of the last year. Water offerings are also a suitable gift to this goddess. Pour out a little bit on the ground and then drink some to internalize any of her qualities that you need. Wearing fine clothing and flowers is also customary, because all things of beauty please Parvarti. So get out your finery for your celebrations, and put on a boutonniere! Or wear something with a flower pattern to draw Parvarti close to your side. 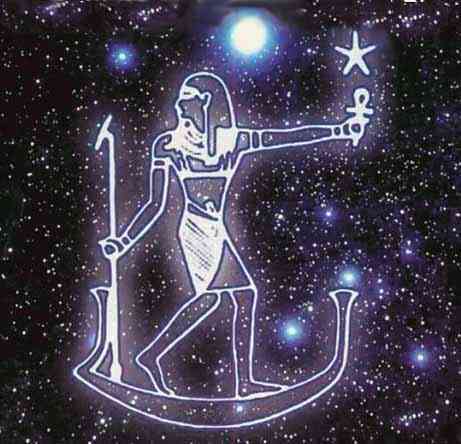 The reigning Egyptian Queen of the Constellations, Sopdet lives in Sirius, guiding the heavens and thereby human destiny. Sopdet is the foundation around which the Egyptian calendar system revolved, her star’s appearance heralding the beginning of the fertile season. Some scholars believe that the Star card of the tarot is fashioned after this goddess and her attributes. The long, hot days of summer are known as “dog days” because they coincide with the rising of the dog star, Sirius. In ancient Egypt this was a welcome time as the Nile rose, bringing enriching water to the land. So, go outside tonight and see if you can find Sirius. When you spy it, whisper a wish to Sopdet suited to her attributes and your needs. For example, if you need to be more timely or meet a deadline, she’s the perfect goddess to keep things on track. If you’re curious about your destiny, watch that region of the sky and see if any shooting stars appear. If so, this is a message from Sopdet. A star moving on your right side is a positive omen; better days are ahead. Those on the left indicate the need for caution, and those straight ahead mean things will continue on an even keel for now. Nonetheless, seeing any shooting star means Sopdet has received your wish.